Well packed and prompt delivery and as not yet fitted cant say much about performance and storage capacity. Will be able to say more about this battery in 6 months time. The batteries were well packaged and delivered promptly. Early days, but the batteries have performed well with my solar panels, providing sufficient charge to run my camper fridge over-night (compared to my previous batteries). I've dropped one star as I'll have to wait a few years to see if they continue to perform. 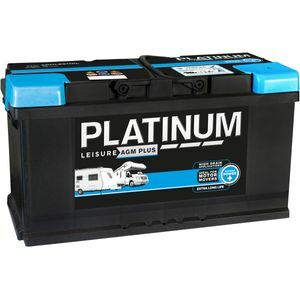 Great packaging,very quick and the best leisure battery I have ever used so far. Handles a bit thin for its weight? We couldn’t have asked for better service. They said it would arrive the next day and it did. And it was exactly as described.